1. Talk to your parents. Find out if your parents have already thought about the topic, if they’ve made provisions for it, or if they have any specific wishes. Furthermore, opening the lines of communication lays the groundwork for trust and cooperation in the future. 2. Encourage your parents to create an Estate Plan if they don’t have one already. An Estate Plan will be important in expressing your parents’ wishes on necessary issues such as preferred agents in case of incapacity, financial power of attorney, and health care decisions. These essential documents will not only let you and others know their wishes, it will also prevent many expensive delays and frustrating red tape in the future. 3. Talk to trusted advisors about how to prepare for the financial burden of Long Term Care—because there will be a financial burden. Our firm can help you your options with Medicaid and Long Term Care Insurance, as well as some lesser known options such as a Dependent Care Account. As you think and talk about these issues with your parents, siblings, and other trusted advisors, remember that you don’t have to go through this alone. Elder Law and Long Term Care are intricate and convoluted subjects, but there are caring professionals out there whose business it is to guide you through the intricacies of Elder Care. Let us help you look into the future with confidence and clear eyes. As American seniors age and find that they need more and more help with daily tasks, many of our parents and grandparents are choosing NOT to go into nursing or retirement homes, opting instead to age at home with the help of in-home care. Of course, deciding that you want to age at home is one thing, but finding the right in-home aide—and figuring out how to pay for that aide—is easier said than done. * How do you recruit caregivers, and what are your hiring requirements? * What types of screenings are performed on caregivers before you hire them? Criminal background check—federal or state? Drug screening? Other? * Are the caregivers insured and bonded through your agency? * If there is dissatisfaction with a particular caregiver, will a substitute be provided? * Does the agency provide a supervisor to evaluate the quality of home care on a regular basis? How frequently? Hiring a caregiver or aide to come into your home can be fraught with stress and second-guessing, but knowing that you don’t have to go through it alone—that there are trustworthy friends, agencies and advisors who can help you—can not only make the process a whole lot easier, but can also make you and your entire family feel much more comfortable with the person you eventually choose to hire. One question that we often get from our clients is how to know when to place a parent into an assisted living facility or nursing home. Making this decision can be difficult, and disagreements about the best options can cause tension and confusion within the family. However, if you plan ahead and know the physical and mental signs to look out for, knowing when it is time to make the transition can be a much less heartbreaking experience. Below are some of the most important steps that you can take to ensure that you know when to help your parent make the permanent move to an assisted living facility or nursing home – and what to do once the decision has been made. 1. Initiate the discussion before a move becomes necessary. Moving to a nursing facility is hardly a pleasant thought, but for many seniors it will become a reality. Many children of our clients experience guilt or concern that they may not be acting consistently with their parent’s wishes when they make arrangements for them to move into a long-term care facility. However, if you begin discussing options with your parents while they are still healthy and able to express their wishes, you can eliminate much of this guilt and insecurity. Talk to your parents about what type of facility they expect to move into, what aspects of long-term care are most important to them, and even which specific facilities are the most attractive to them. Initiating the conversation before the situation reaches a crisis point will help you (and your parent) to be capable of making the correct decisions when the time comes to make the move. 2. Be on the lookout for changes in physical capabilities. 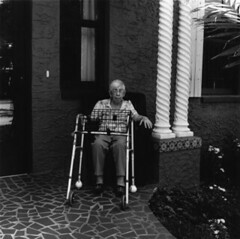 People who move to long-term care facilities often do so because they are physically unable to care for themselves. While some people need extensive care, those who move to assisted living facilities may only need help with one or two activities of daily living. If the layout of your parent’s house has made it difficult or dangerous for them to move around easily in the home (for example, they can no longer climb stairs), living in the home may no longer be an ideal situation. It is important to look for evidence that your parent has fallen or stumbled. A typical warning sign that someone needs to move to a long-term care facility is when they have experienced several falls without being able to get up or call for help. Assisted living and nursing facilities have round-the-clock staff on hand to monitor residents. Another warning sign is when the house begins to appear dirty. Perhaps Mom’s house was always spotless, but lately you’ve been noticing crumbs in the kitchen and dirt on the floor. These could be signs that your parent is no longer able to care for her home in the way that she would like, and it may be time to consider moving her to an assisted living facility. Further physical signs that it may be time to consider speaking with your parent about moving outside of the home include evidence of frequent sleep disturbances, difficulty dressing or bathing, and difficulty preparing meals. 3. Be on the lookout for changes in mental capabilities. Has your parent exhibited sudden changes is personality? Is it becoming obvious that she is forgetful or frequently disoriented? Are you concerned that your parent has begun to make poor decisions or has had difficulty making decisions at all? Each of these issues could mean that your parent has dementia. Because diseases causing dementia are usually progressive, their condition usually will not improve and it is important that your parent move into an assisted living facility or nursing home before the dementia worsens. Symptoms such as forgetting to take medication, difficulty operating electronics like the telephone or the stove, and dangerous driving habits can also be signs that it’s time to consider moving to a long-term care facility. 4. Schedule a family meeting. Once you’ve determined that your parent’s physical and mental symptoms show a need to move out of the home, it’s important that you schedule a family meeting. This allows everyone in the family to share their concerns and to make decisions together about who will be involved in the decisionmaking process and how to proceed with the move. Remember to include your parent’s caregivers in the family meeting – their input can be important in determining what your parent’s needs are. At the meeting, it is important to have an agenda to help everyone focus on what decisions need to be made. This agenda could include discussions about your parent’s medical status, sharing feelings and opinions about the situation, financial concerns, and how to move forward. If you feel that there may be disagreements between family members, you may want to hold the meeting in a neutral place and have a disinterested third party mediate the meeting. 5. Research long-term care facilities in the area. If you haven’t already done so, now is the time to research different options for long-term care in the area where your parent will be living. One option is to go to www.snapforseniors.com to research different facilities in your area. Once you find a facility you’re interested in, you can call the facility to take a tour, check references from families of former or current residents, and weigh your financial options. 6. Continue to keep family involved. Moving to a long-term care facility is a large transition for everyone, not just your parent. It is important that you keep your family informed about what decisions have been made, even if they are not directly involved in the decisionmaking process. If some family members are contributing more time or money to the transition process than others, it is important to acknowledge this effort and attempt to achieve balance within the family if possible. 7. Most importantly, continue to keep your parent involved. Of course, the person for whom the transition will be the most difficult is your parent. She may be feeling confused or angry at the thought of leaving a home that she may have lived in for a number of years, or she may not understand where she is once she lives in her new home. This is especially true if your parent suffers from dementia. It is important that you allow your parent to express her feelings about her new home and that you listen to her concerns. One way to ease her mind could be to ask her how she feels about the new location at a time when she is calm and there are few distractions. Depending on the situation, it may be helpful to visit the facility with your parent shortly before the move so that she can learn more about it and start to become comfortable there. For many seniors, moving into an assisted living facility can be a difficult and confusing transition. Many elderly people become confused or agitated during or after the move. The Aging Parents Authority recommends taking the following four steps to make the transition as smooth as possible for your parent. 1. If your parent suffers from dementia, don’t over-explain the move. Acting in a way that is as matter-of-fact as possible helps your parent feel that the move is more of a natural change. Don’t worry your parent with unnecessary details or questions about the move if you feel that they will be unable to absorb too much information at once. However, it is important not to be dishonest with your parent – after all, they are the one making the move. Give your parent all of the facts in small doses rather than all at once. 2. Bring in other family members to help. Having several family members involved allows everyone to take part in the move. This is important because it prevents other family members from having their feelings hurt while keeping you from becoming overwhelmed with the task of helping your parent make the move. 3. Keep your parent away on the day of the move. Having your parent present while her things are being moved out of the home she may have lived in for decades can be traumatizing for her and delay the moving process. After you have made all of the arrangements and it is time to make the move, arrange for professional movers to come in and move her belongings. Meanwhile, take your parent out to lunch or somewhere special to make moving day as pleasant and relaxing as possible. 4. 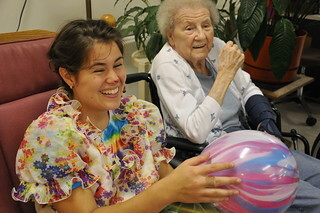 Give your parent a chance to try out the assisted living facility. 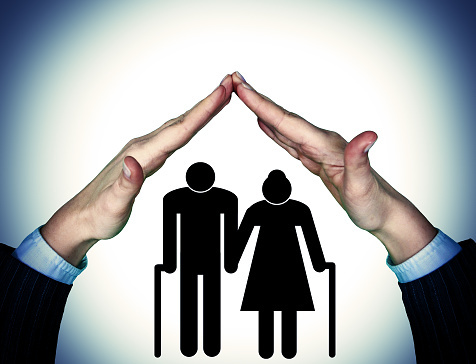 Many elderly people have a difficult time adjusting to their new environment at first. However, most of the time your parent will become used to the routine of the assisted living facility and will even make friends and enjoy the activities offered there. However, nothing should be written in concrete until you are sure that your parent can live comfortably in her new surroundings. Make sure that the contract you sign with the facility allows your parent to go through an adjustment period before you are required to make a long-term commitment.